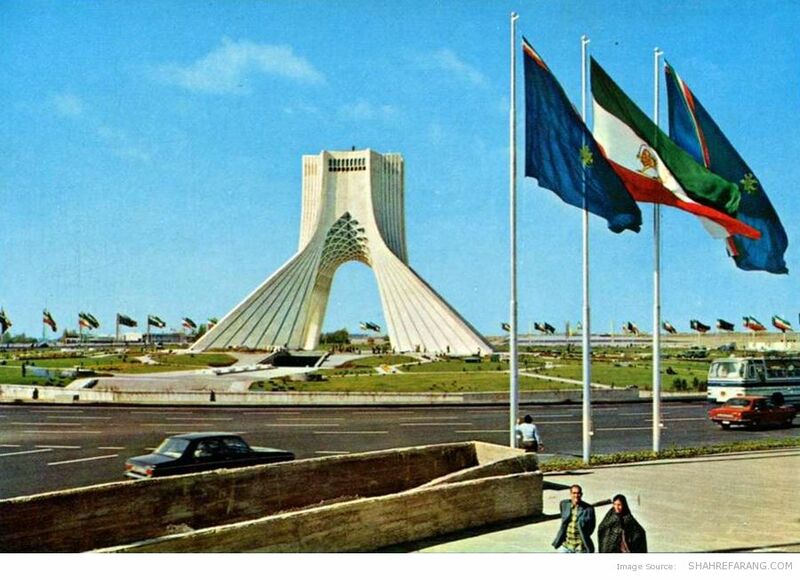 The Azadi Tower, formerly known as the Shahyad (a translation of King Memorial Tower), is the symbol of Tehran and marks the entrance to the city. 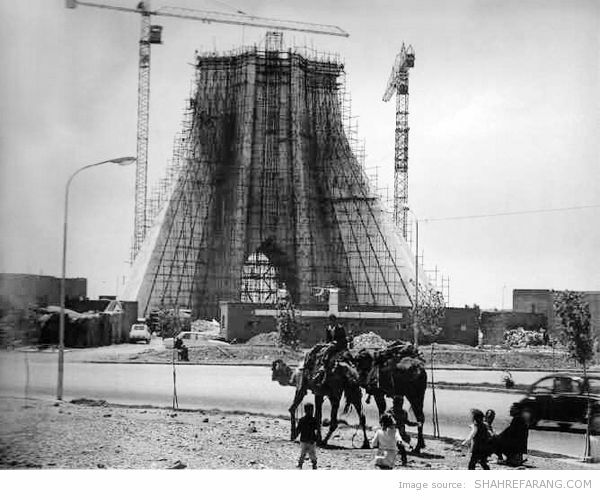 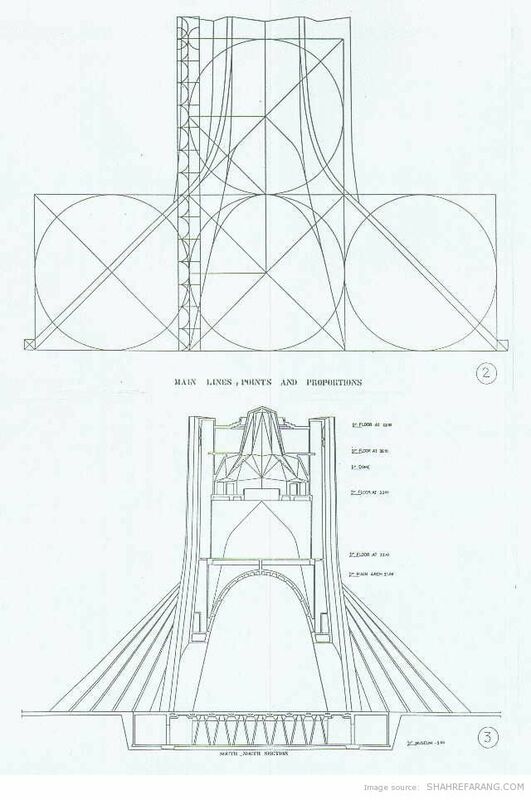 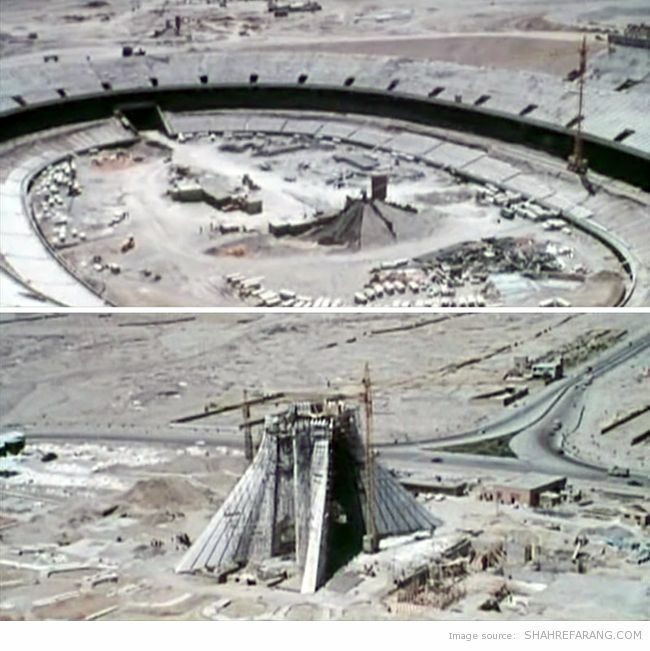 The architect, Hossein Amanat, won a competition in 1966 to design a monument for Tehran. 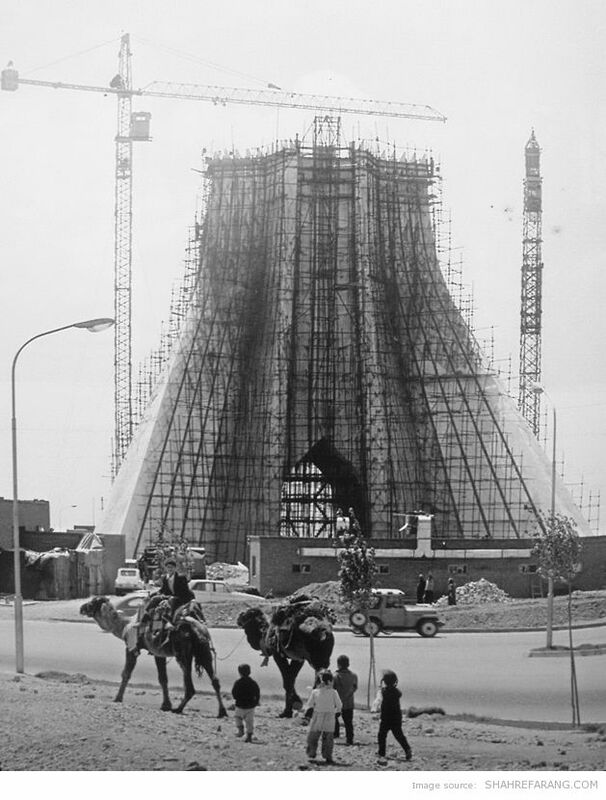 The tower was built between 1969 and 1971 and the inauguration took place on October 16, 1971. 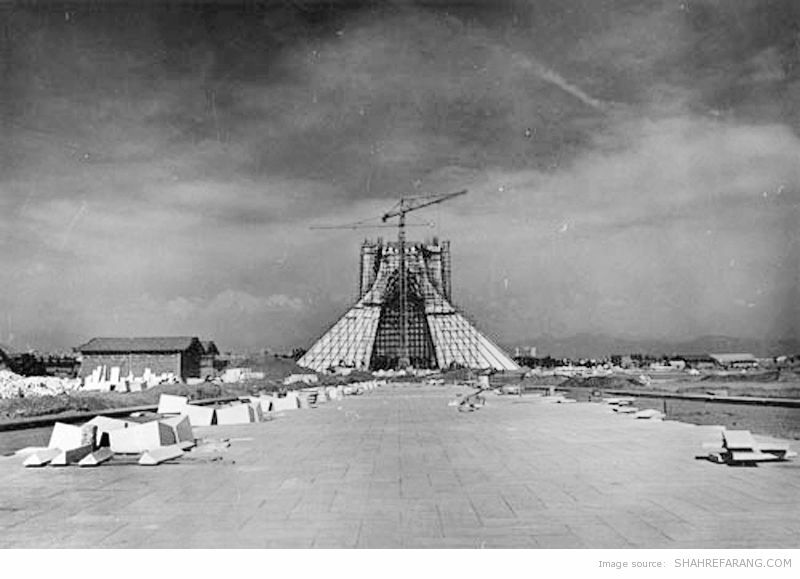 The building was renamed as Azadi Tower after the Iranian Revolution of 1979.